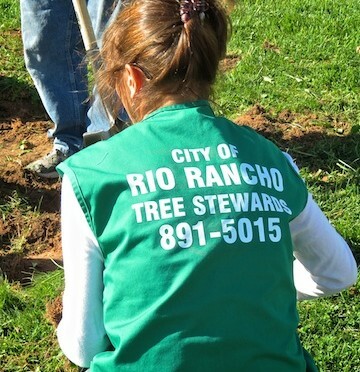 The SCMGs and citizens of Rio Rancho who become Tree Stewards learn basic tree care in a desert setting. The SCMGs who assist share their interest in preserving the urban forest for green spaces in a drought situation. A Tree Steward takes the training and agrees to walk his or her neighborhood park and submit an observation form to Keep Rio Rancho Beautiful four times a year. 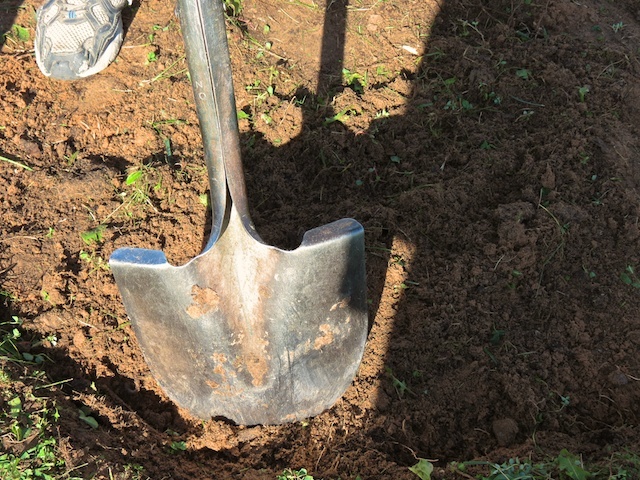 Examples of observations may include: broken sprinkler heads; dying trees; trees that need pruning; tree wells needed; more mulch needs to be applied; cracks in tree trunks; and trees are not receiving adequate water and are stressed. The mission of this volunteer opportunity is to engage the citizens of Rio Rancho in stewardship of the urban forest, through hands on learning about the care of urban trees. A goal would be to promote awareness of the environmental benefits of an urban forest. This, then, improves the community’s appearance, and increases the quality of life of every citizen. Training classes for 2016 are May 14, 21, and 28 from 08:30 am to 3:30 pm at Rio Rancho City Hall. The morning sessions are classes and afternoons are field study time. Lunch is provided for all 3 days. During the three day training volunteers learn tree identification, the biology of trees including diseases and diagnosis, pruning and tree wells, and the necessary paperwork. Up to 25 students can be trained during the three day workshop. Ongoing training is provided and a one year commitment is required. Call Koryn Misbach 896-8389 to register.